Lofted cabins combine the space of the cabin & storage of the barn. The Lofted Cabin is essentially the same as the Office/Cabin apart from the fact that the Lofted Cabin has a gambrel or "barn style" roof. 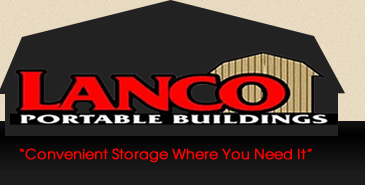 This gives the building the distinct barn look and overhead loft space that can be used for everything from sleeping areas to storing your gear. The Lofted Cabin comes with one 9-lite 36" entry door, one window and a porch on the gable end. Choose from stained or painted and pick your color. More windows and doors can also be added to meet your needs.